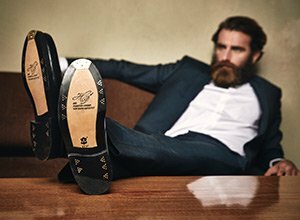 The Patina models are classic men's shoes with a vibrant hand finish. The individual shades of light and dark and the fabulous shine result from an extremely elaborate procedure carried out by master craftsmen. 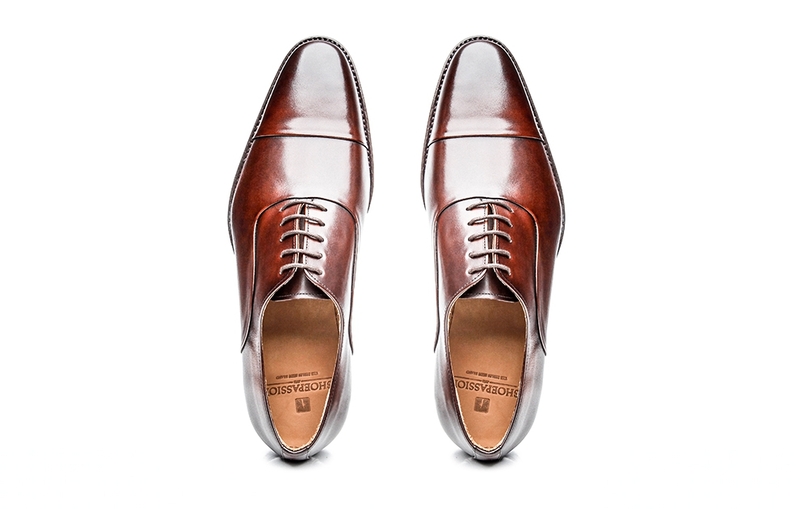 The base for these unique color nuances is an Italian calf leather that is predominantly vegetable tanned. Thanks to its traditionally welted construction, this collection also convinces with a perfect fit, exceptional durability and easy repairs. A fascinating sheen and intense colours distinguish No. 5227 as part of our Patina Line. 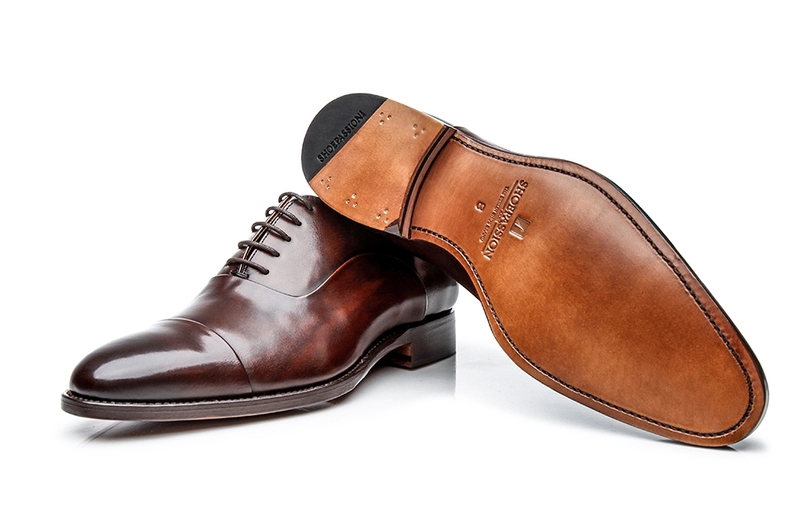 Both are a result of the elaborate hand finish, which is applied to these Goodyear-welted and handcrafted cap-toe Oxfords in our Spanish factory. 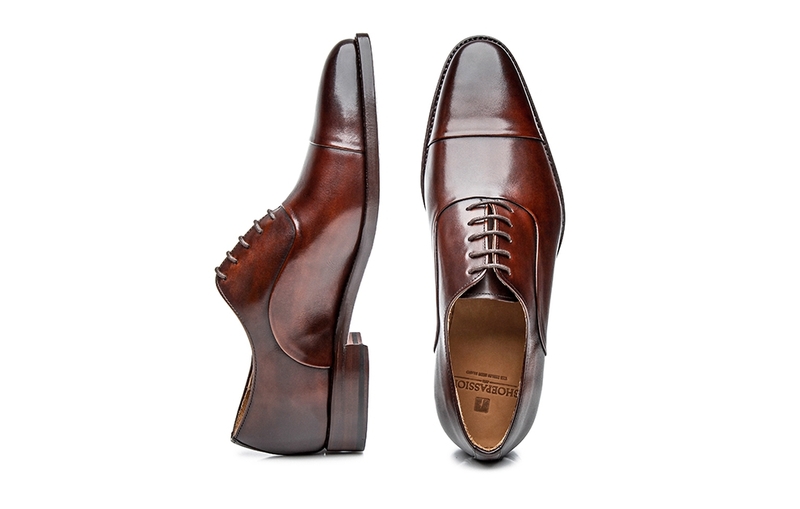 Supple Italian soft calf leather in a deep black-brown adorns the entire shaft of No. 5227. 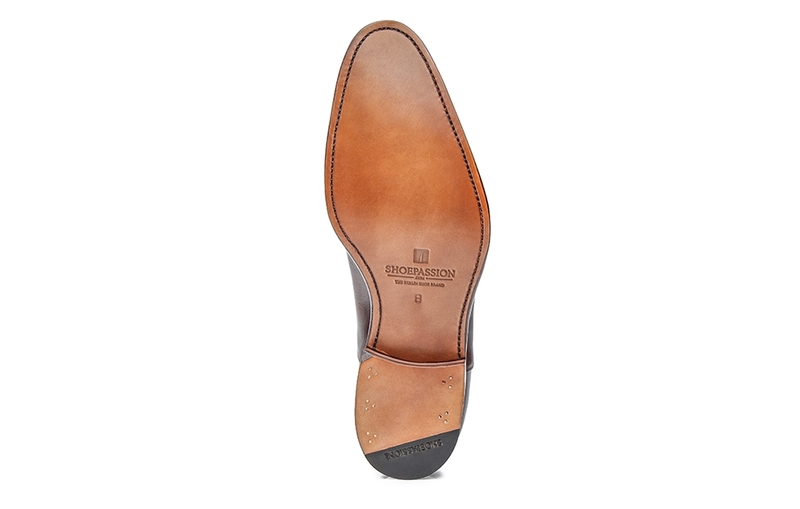 Furthermore, the lining, insole, outsole and heel are made of premium cowhide, transforming these cap-toe Oxfords into exquisite full-grain leather shoes that are distinguished by their natural breathability, high flexibility and perfect fit. Additionally, Goodyear-welted construction guarantees a graceful appearance, extraordinary durability and easy repairs. 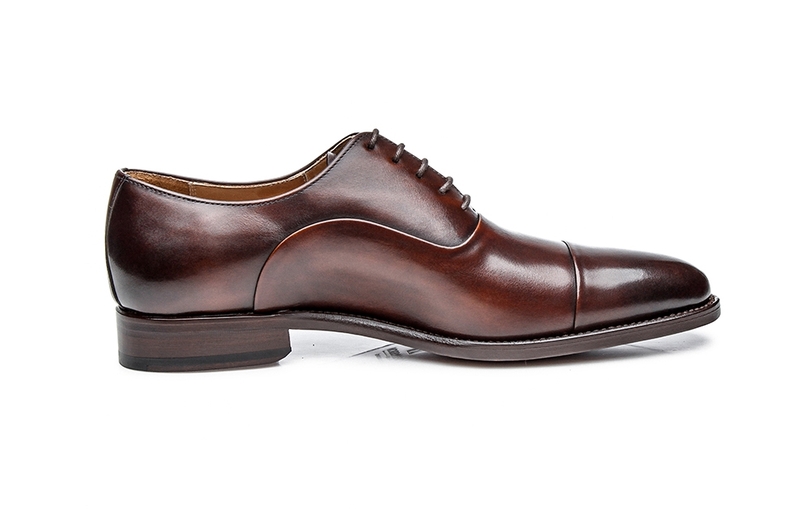 From a fashion perspective, these black-brown cap-toe Oxfords can be worn practically anywhere. Their dark colouring and high quality make No. 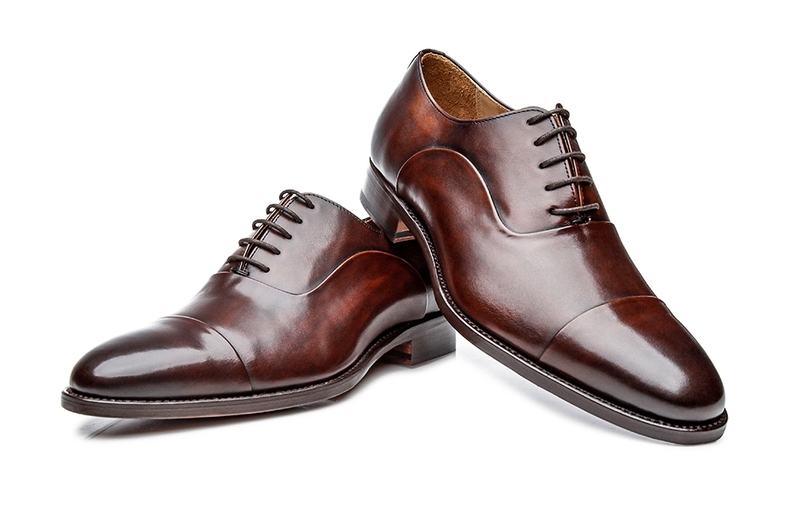 5227 perfect for both informal and formal occasions, although the striking patina is recommended for less restrictive dress codes. 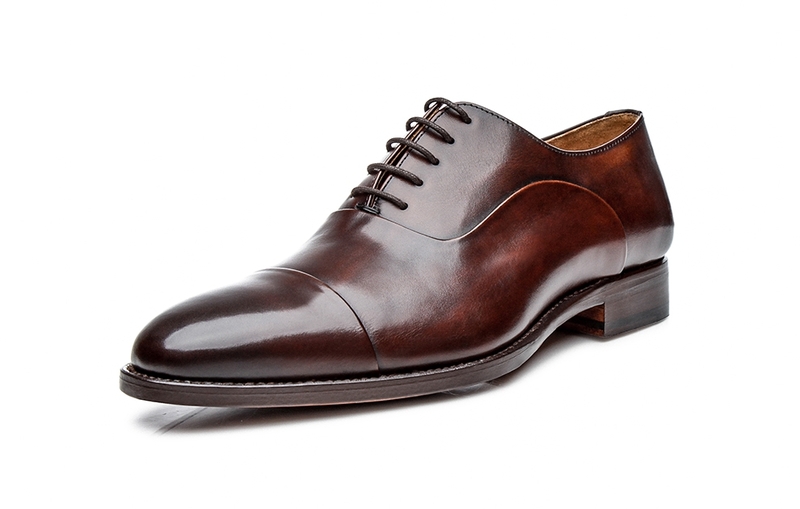 Perhaps the most elegant men’s shoe in the world, featuring a separate toe cap. 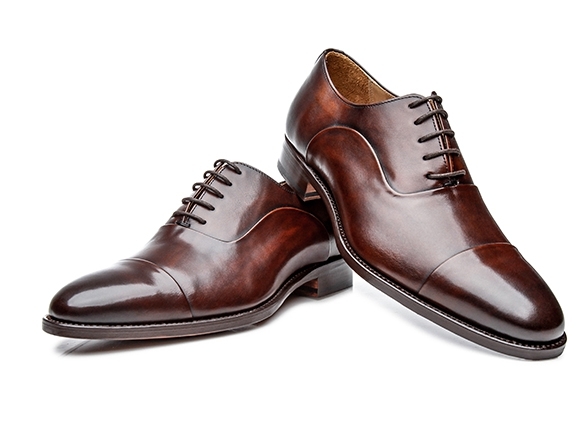 Equipped with the traditional closed five-eyelet lacing and black-brown leather upper, these cap-toe Oxfords are classic shoes for formal occasions. 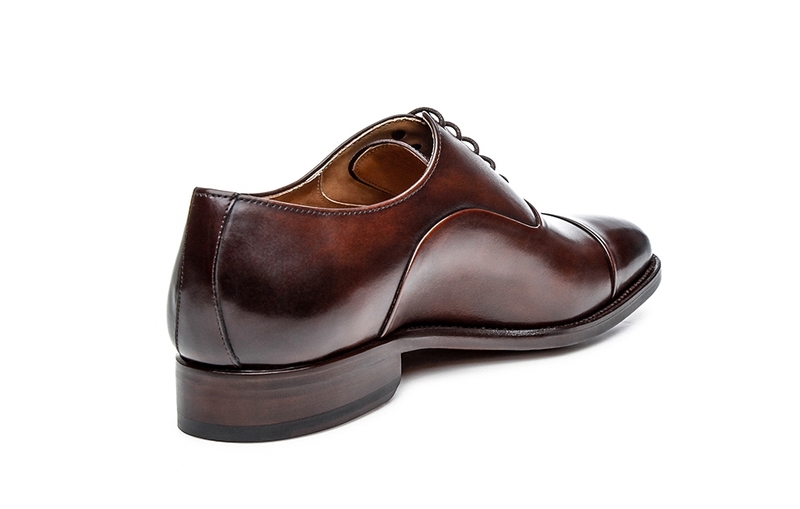 The Italian last is distinguished by a dynamically tapering front section, while the ball of the foot enjoys ample space. 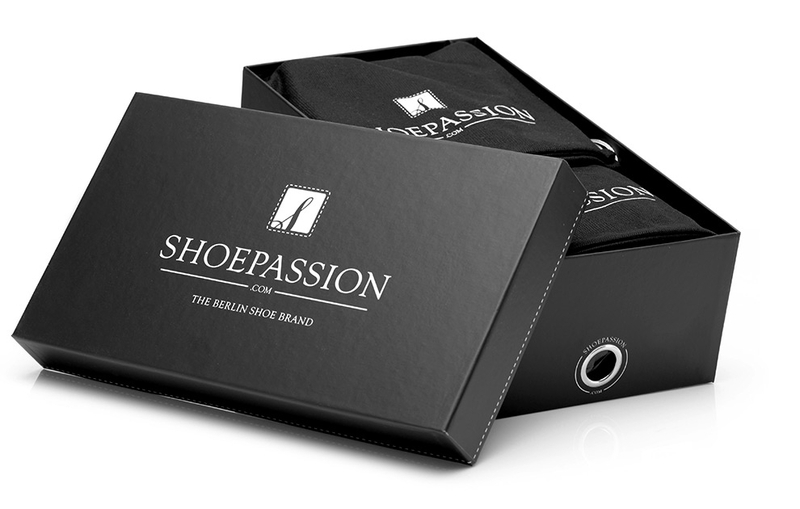 The last fits closely against the midfoot area and then flows into a pleasantly rounded heel. Suitable for narrow to average feet. 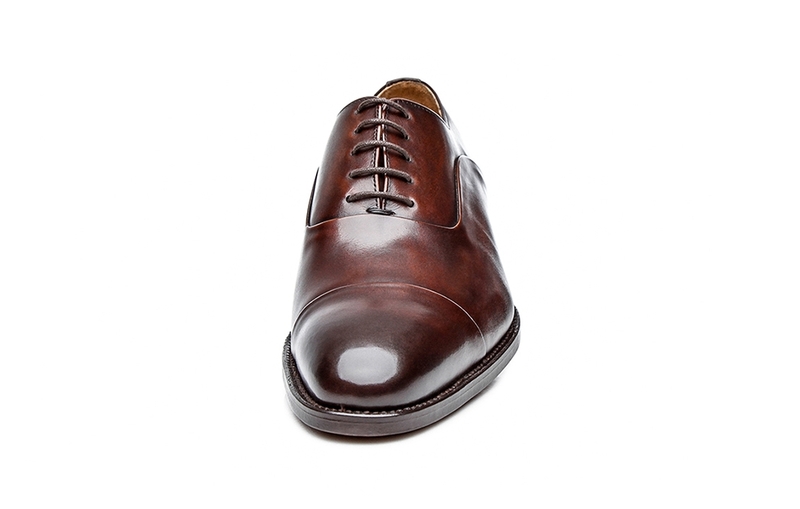 Our soft calf leather is a predominantly vegetable-tanned, fully dyed leather upper from Italy whose open porosity makes the colours of subsequently applied dyes really pop. 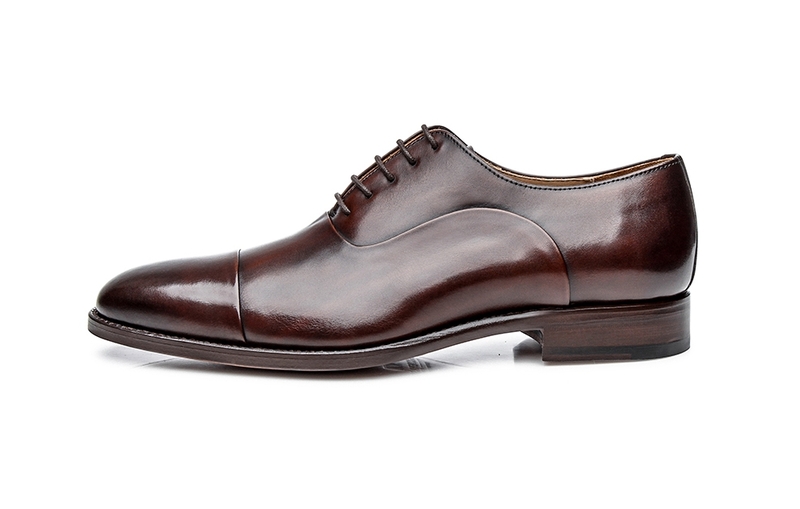 An elaborate hand finish makes this soft calf leather even more exquisite. One-of-a-kind in our collection. The soft calf leather is dyed in the Italian tannery, but it is the intense leatherwork done by hand in the factory, called a hand finish, that creates the thrilling contrasts and shadows that give this soft calf leather its unique look.